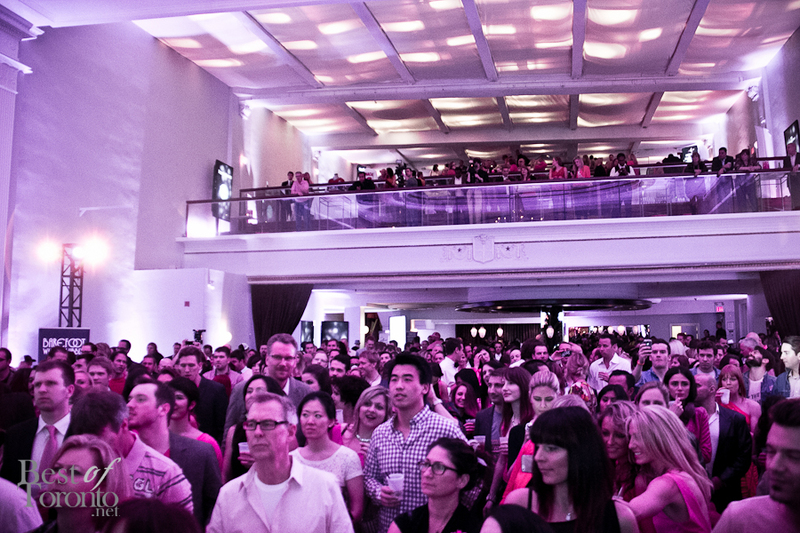 It was a fun charity party in support of the Canadian Breast Cancer Foundation at the classic venue Capitol Theatre. I’ve only been there once before for a corporate Christmas party and it was a memorable evening. This was another memorable evening as well being my 2nd time at the annual Pink Party (last year’s pics here), so of course I knew it would be fun! And it got even better when actress, Elisha Cuthbert, was announced as a co-host! There was complimentary Iceberg Vodka, Barefoot Wine and Amsterdam beer, and Red Bull served the whole night. It was great to see so many bars throughout the venue which meant short line ups for drinks. There was also a plethora of delicious Bite Me Bakery desserts including macarons, cupcakes, and take-home candies. Activites included picking up paper fish on the floor with a fishing rod for prizes. There was also a Bra Bandit game where you unhook 4 bras off mannequins as fast as you can with one hand. The fastest was 11 seconds by a guy. I finally got to shake hands with my fellow Canadian Special Events award winner, DJ Ef Sharp, Sam Fleming, Favourite DJ of the year. DJ Efsharp has been entertaining the biggest events in Toronto including Fashion Week, iYellow Wine Club and more and he does it with vinyl. 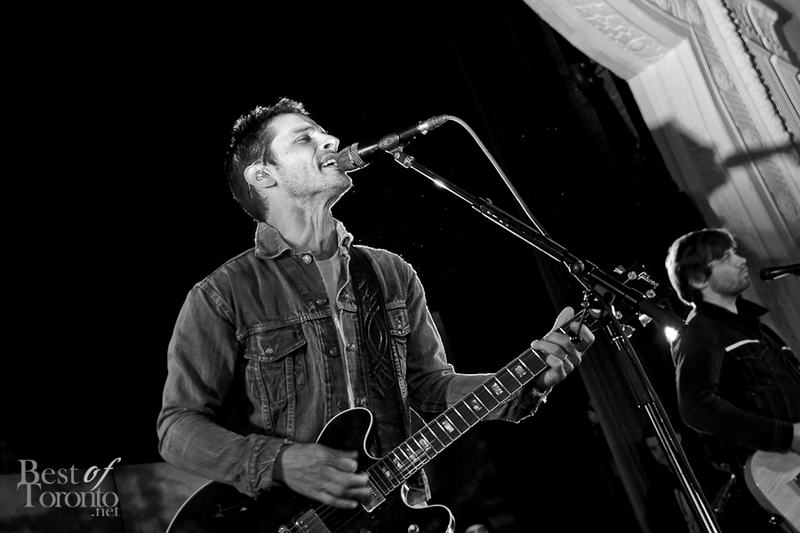 The Sam Roberts Band performed back when it started in 2010 in Paul Etherington’s backyard with 80 friends. Last night there were 650 people. Paul Etherington has also raised millions of dollars for the Special Olympics as co-founder and chairman of the annual Motionball gala. 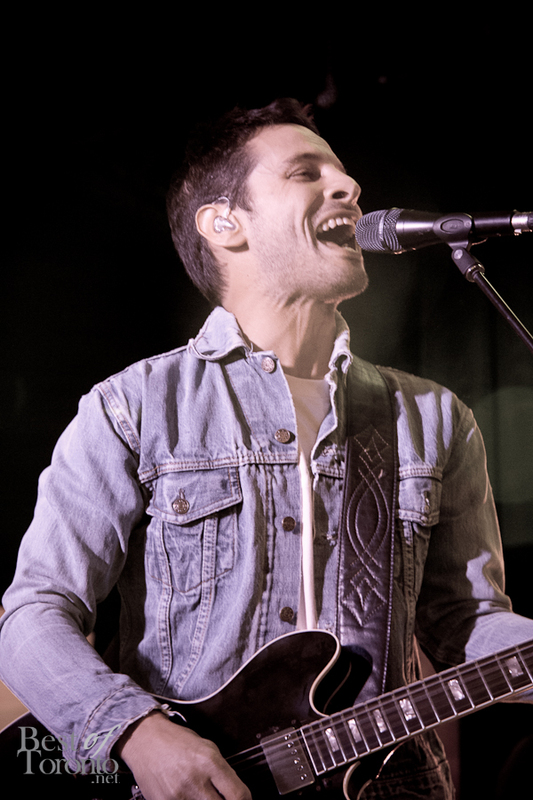 So the Juno award-winning Sam Roberts Band returned to rock out to a full house. 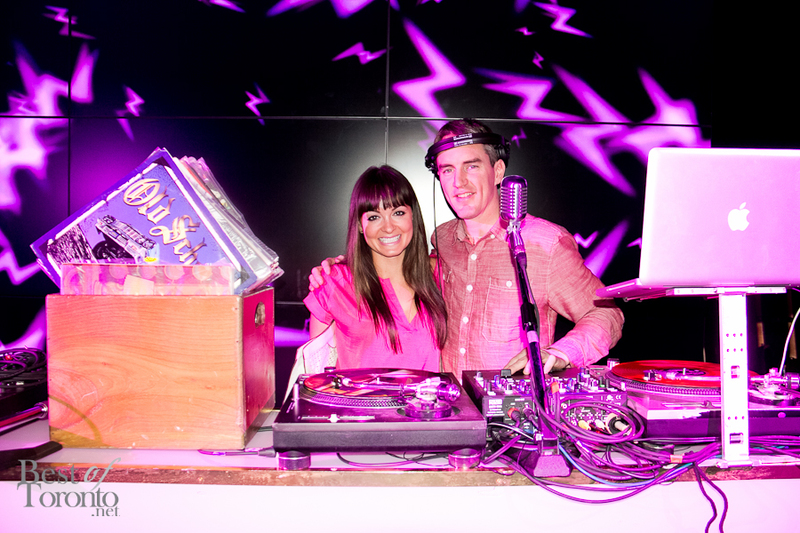 The night ended with DJs Pump & Hedspin. There was also a raffle for a 50″ TV, a $500 Shell gas gift card and round trip flights for 2 anywhere in Canada. There was also a silent auction with 40 items to choose from. I was lucky that my bid won a silent auction item for $500 at The Brant House! More photos below or also here on our facebook album. Since 1986, the Canadian Breast Cancer Foundation has been at the forefront of a nation-wide movement to raise awareness and mobilize action on breast cancer. Today, the Foundation is the leading organization in Canada dedicated to creating a future without breast cancer. Visit www.cbcf.org and click here to donate to support the Canadian Breast Cancer Foundation directly.